Every time I read the book OldYeller, my dog Junior knows to snuggle up close to me and make sure he has tissues handy. If you have ever read this classic dog book, you know what I mean. 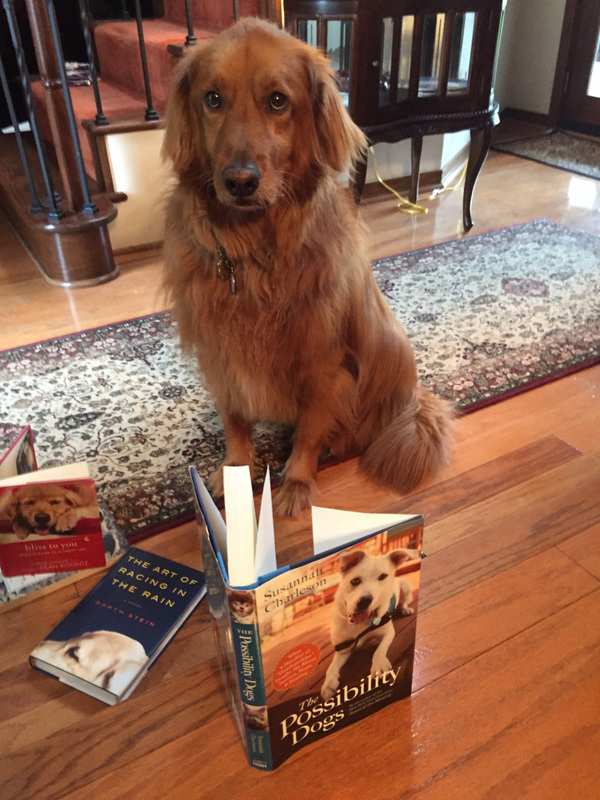 Two of my favorite things are books and dogs.I have been reading and telling dog stories ever since I can remember. Every Spring, Junior and I have a ritual. I go to my bookshelf and select three books from the stack of all my time favorite dog books. As I read, I am inspired by my dog heroes and I reach down and hug my favorite golden retriever in appreciation. Previous Post Kindness: Can dogs show us the way?